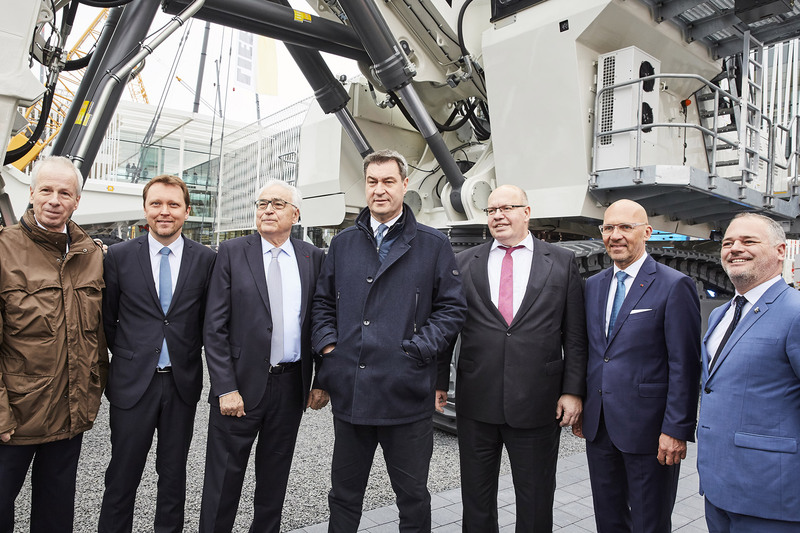 The world’s largest trade fair has opened its doors in Munich: On Monday, April 8, 2019, German Minister for Economic Affairs and Energy Peter Altmaier, Bavarian Minister President Dr. Markus Söder and Messe München CEO Klaus Dittrich opened bauma 2019, the world’s leading trade fair for construction machinery, building material machines, mining machines, construction vehicles and construction equipment. The media center at bauma 2019 is located on the second floor above the main entrance west. Journalists can obtain accreditation online at: https://www.bauma.de/press/services/accreditation/index.html. More information is available in the Newsroom. More information at www.bauma.de.